The One Cake Topper, that is! I know, I’m so mean with all these oblique wedding dress references. Recently, GP and I went and saw our now-booked cake decorator/baker, Melissa Rose, or Melrose Cakes. We loved her personality, thought her son was ADORABLE, and finally booked her. We can’t wait to om-nom on her cakes at the wedding and just KNOW our guests will love what she does. She has 21 flavours! Now, GP is about 6’0″ tall, which is apparently considered “average” for a man. However, I’m ONE FOOT SHORTER THAN HIM. Yes, folks, I am 5’0″. 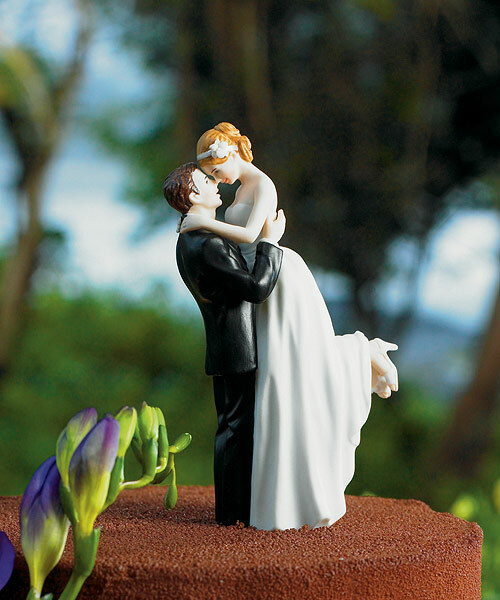 And so this cake topper… it just FITS us. I LOVE smooching my man, he loves my height, and the cake topper has just got so much love and personality oozing out of it. Unfortunately, it’s so very ‘generic’ for us. We wanted to inject more of OUR personality into it. That’s what I suggested having the bride on a Companion Cube. The Companion Cube has it’s roots from the game Portal, which is basically a FPS (first-person shooter, for those non-gaming folks), but without the S. More correctly, Portal is a FPP, a first-person puzzler. You see, in the game you play as the silent Chell, a girl trapped in Aperture Science Laboratories. She’s given a Portal gun which, coincidently, makes portals. The goal is to make you way through the puzzles thrown at you using the Portal gun. 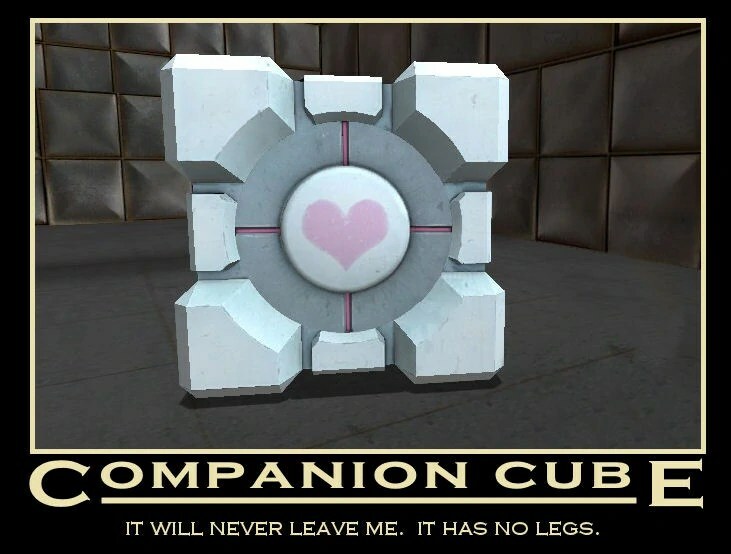 During your trials you come across the Companion Cube, a cube which assists you during your puzzles because it can be used as a counterweight to ensure buttons are pressed. I loved watching games being played when I was younger (and still do, to this day) but my first game that I PLAYED was Portal, which was introduced to me by the one-and-the-only GP. I LOVE Portal, and I love that GP introduced me to it, so it’s a SIGNIFICANT part of our relationship. And so, having the Companion Cube as part of the cake topper was PERFECT. Unfortunately, we have to FIND a person who can make it. 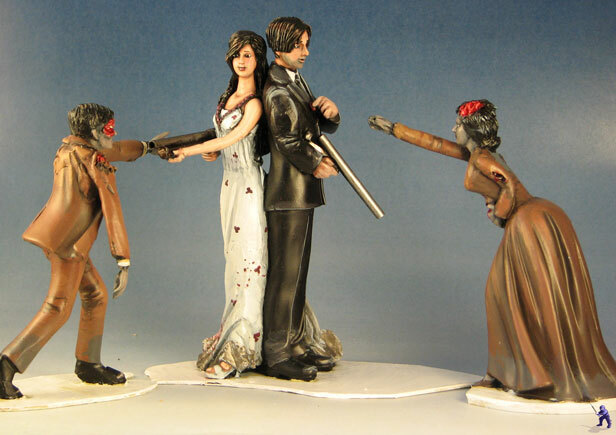 Drew Olds makes geeky cake toppers, including the zombie one from above. After much hemming and hawing, GP and I both decided we should ask for his assistance on our Portal idea. I gave him the details and he responded the next day. The news wasn’t entirely bad, but it wasn’t really good either. 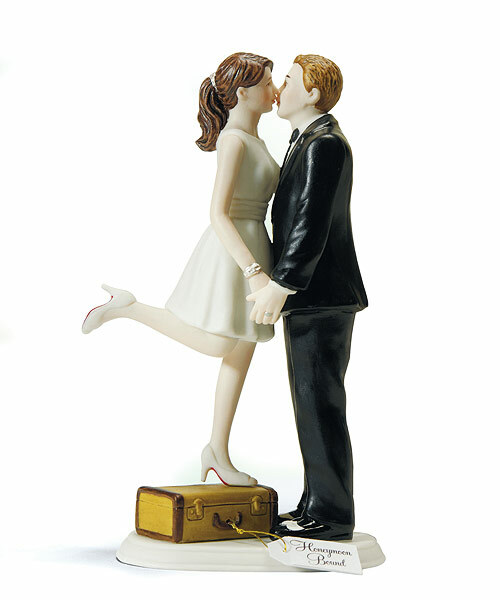 You see, because the “A Kiss and We’re Off” cake topper was made of porcelain, we wouldn’t be able to change the hair and clothes. The colours would be fine to change though. I ran this by GP and he was a little hesitant on the whole thing because he wants the topper to be ‘us’. I’m really hoping Drew comes back with a positive, but we shall have to wait and see since it’s Saturday in America and he probably won’t check his email until Tuesday Australian-time. Wish us both luck on that front!